Some examples of questions we are often asked about our gardening services. If you have any other queries not listed here, please get in touch. Do you have to see the property first before you can work there? Not necessarily. We can discuss your requirements by phone or email and carry out the work. I am out all day every day. How will that affect you, can you still carry out the work? We are always working at unattended properties. It’s no problem at all. We will agree a schedule of work with you before every visit, and check all was to your satisfaction immediately afterwards. All our team members are public liability insured. Do you only look after large gardens? No, definitely not. 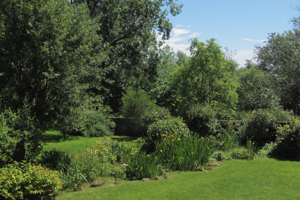 We deal with all sizes of gardens from courtyard to mid size properties, to large country homes. All receive the same level of care and attention from us. We have just moved into a house near Tunbridge Wells, and the large garden has not been looked after properly for several years. Could you bring it up to a good standard for us? Of course. On the initial visit, we will consult with you and formulate a plan of action in accordance with your circumstances. If it was a fairly long project, supervisory staff would attend regularly at no extra cost to ensure that work was progressing in accordance with your wishes. I just need a basic tidy up to place my property on the market. Can you do this? Absolutely, and we have done many times! Every autumn I am drowned in leaves from my own and neighbour’s trees. I bought a blower but it’s really not very effective. Can you help? We have several large backpack blowers that will make short work of large build ups. In the autumn, we can carry out an initial clear up, then return every 2 weeks for an hour or two in the run up to Christmas. This will deal with the few remaining leaves, leaving your property tidy for the Christmas period. Of course we can also deal with leaves at any time of year too. 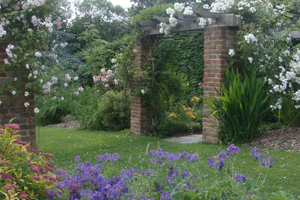 Do we carry out formal garden design and construction? 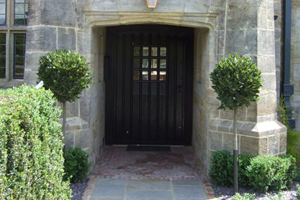 We offer full formal design, or more usually, and economically, planting plans. Hard landscaping, if required, is handled by a tried and trusted local company working in conjunction with our designer. 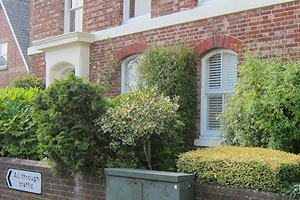 We recently bought a decent size Edwardian house with modest garden off Frant Rd in Tunbridge Wells. The garden was very 70’s with too many conifers and a terrible mossy lawn, Hydrangeas everywhere and not much else. We were interested in improving all this but with no idea where to start we asked Andrew if he could make any suggestions. Now, after a major reduction in excessive vegetation, lawn work and a smart, low maintenance planting scheme, we are enjoying a more contemporary and slimmer garden that is a pleasure to look at. We have also learnt more than anticipated about plants in the process.